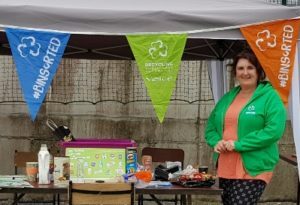 During the past year I’ve been working with ¹VOICE Ireland as a recycling ambassador for County Carlow, visiting community groups and explaining what can and can’t go into their recycling bins. We were asked to stick to the facts and avoid being pulled into discussions about the rights and wrongs of our country’s waste disposal methods. This proved harder than one might imagine as dismayed people are outraged that they aren’t provided with enough choice that allows them to avoid all the rubbish that manufacturers and suppliers present us with. Most feel they are being punished, both financially in terms of refuse charges and environmentally as they haven’t asked for all the single use plastic rubbish that food is covered in, and they aren’t happy that they are contributing to the mountains of waste. Despite the fact that we are watching the climate breakdown around us, my observations from these workshops have been that unless people are offered viable alternatives, most won’t or are unable to change their habits as quickly as is needed or recommended by the latest IPCC report (see below). When legislation forced change in ²Kenya, imposing a $38,000 USD plastic bag tax on anyone found using, making or distributing plastic bags, people had to come up with solutions fast to provide alternatives. These included innovations such as making paper products from invasive species. Can we, or will we make changes fast enough across the rest of the world without those kind of tough measures being imposed upon us? Disposable coffee cups aren’t recyclable (use china, glass, or reusable cups). The recycled symbol isn’t necessarily applicable (it’s usually only valid for the country the product was manufactured in). No scrunchable plastics are recyclable (I’ve started making Eco bricks). Items made up of mixed composites (such as crisps packaged in cardboard covered tins) can’t be recycled (switch to crisps with packets that can go into the Eco bricks). Everything has to be clean and dry (rinse at the end of the washing up session). A year on, I’ve noticed positive changes. As the plastic debate gains momentum, we continue to see horrific images of plastic oceans and hear stories about how insidious plastic particles can be on our daily lives, from affecting sperm counts in men to ingesting particles through our tap and bottled water supplies, opening our eyes to the problem. As a result, products and solutions are beginning to appear to help us make the transition to a life without single use plastics. As we have been made aware of the scale of plastic waste on this planet, business’ are seeking alternatives, like Jason Horner, an organic market gardener in Ennis who has managed to track down a supplier of biodegradable bags to wrap his salads in. There’s been an increase in shops and market stalls that offer plastic free products alternatives like Bare Necessities, a social enterprise start-up who sell among other things, bamboo toothbrushes, wax cotton food covers and pulses sold by weight. 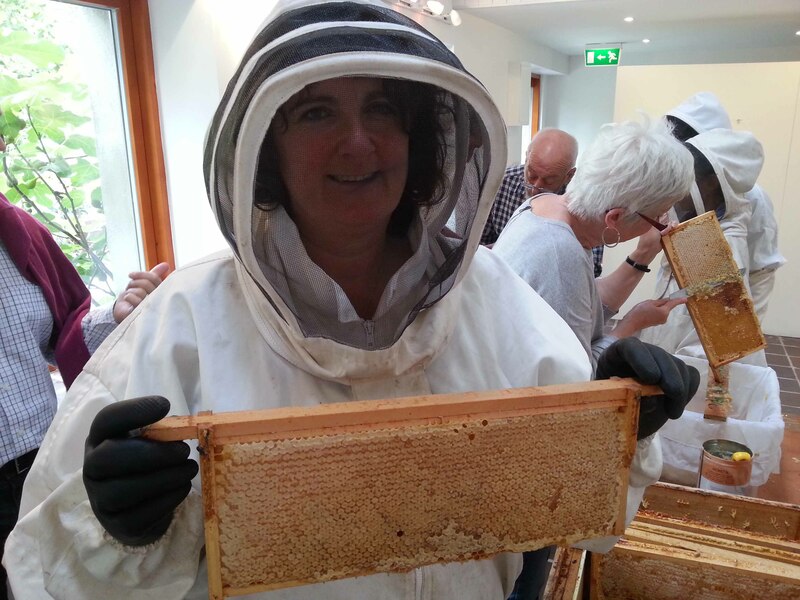 Many cafes and shops, like the fabulous BeeNice Cafe in Carlow, have become Conscious Cup supporters who also sell bamboo and Keep cups to their takeaway customers. With that in mind, it might come as no surprise that I was very happy to try out a Stojo cup that was sent to me by their PR company to review. I remember tweeting when I first learnt that over 22,000 coffee cups were being disposed of in Ireland EVERY HOUR, that it was a potentially lucrative and good opportunity for someone to come up with an alternative cup that would fit into our bags and pockets so that we could easily say no to the throw away option. Thankfully, Stojo have done so. Designed by three New York based friends, Stojo is very light and durable, and is made from recyclable materials such as food grade silicone that exclude phthalates, glues and BPA. It is light, leak proof and easily collapses into a disk smaller than 10cm in height so that it will fit into a bag or pocket and I love it. I don’t buy very many takeaway drinks but have found it useful for water refills, or for hot drinks on the go when I’m in a hurry leaving the house. My Stojo cup has created a lot of interest as I’ve pulled it out of my bag and it’s something to consider why you’re trying to come up with useful gift ideas of the coming weeks. The Stojo comes in two sizes, the ‘Pocket Cup’ (12oz, RRP €12.95) and the ‘Biggie’ (16oz RRP €16.95 and are available from independent cafes and specialist stores nationwide, as well as Brown Thomas, Arnotts and Avoca. But we need to do more, and faster. The latest IPCC report that says we have just 12 years to keep the planet from warming more than 1.5°C higher than its post industrial temperatures. We are going to need a much greater bottom-up push for change because a top-down approach from our governments simply is not happening fast enough. There’s no easy solution but one thing we can begin to do right now is to say no to single use plastics. Plastic is a derivative of the fossil fuel market, one of many contributors to our warming planet. Our newly formed County Carlow Environmental Network has pledged to help local festivals make the transition. Individually we can ask shop keepers for alternatives to single use plastics. We can bring our own stainless steel straws to the club or refuse them altogether. We can take Tupperware or alternatives to the butchers or Indian takeaway. We can ask canteens to provide wooden stirring sticks instead of plastic spoons and workplaces to ditch disposal water cups. We can encourage all our friends and relatives to do the same. Note that recycle is the last option. Refuse or reuse first. Whilst ³recycling correctly is better than throwing everything into the black bin, refusing to use single use plastics is even better. This is the most dire report from the IPCC yet. It’s a call to arms for us all. The first story in this video clip highlights why our coverage about climate change has to adjust to encourage us to take it seriously, why we have to wake up and make immediate changes to our day-to-day living now. Stopping our use of single use plastics is a relatively easy one to tackle. Are you up for the challenge? I have wondered what those collapsible cups are like so thanks for the review Dee. I have to admit I was shocked when I saw a friend on fb comment on the changes she was making as so many of them seemed so obvious, I wondered why they hadn’t been made years ago. Things like using one’s own water bottle and refilling it. I rarely buy takeaway drinks but do have a travel mug for the odd time I don’t have time for a cup of tea before I leave the house (and I’m gasping). I’m still working on the water bottle as feel I should source something made from stainless steel as my plastic refillables don’t taste quite right. It’s good to see companies coming up with innovative designs. This is the first solution I’ve seen for a ‘pocket cup’, will be interesting to see if others come along down the line. We’ve just started a Carlow Environmental Network by the way and our first mission is to try and help Carlow festivals ditch the single use plastic. Watch this space!